Space Launch System (SLS) Core Stage prime contractor Boeing reached a long-awaited milestone this week with completion of standalone work on the engine section for the first vehicle. The most complex section of NASA’s new rocket stage is well behind more than one schedule revision, and because it is the critical path in the schedule the delays have pushed some estimates for the vehicle’s first launch into 2021. While the element proceeds immediately into the next phase of integration and testing with its boattail, a series of reviews of Core Stage production are being conducted by upper NASA management to speed up the schedule. Following last October’s Inspector General report, independent consultants were brought in to help with an internal assessment of how to address the report’s recommendations. After NASA recently concluded the June, 2020 launch date commitment for Exploration Mission-1 (EM-1) was not achievable, one study was started to look at replacing SLS on EM-1, while additional reviews were started to look for more aggressive ways to compress the SLS schedule to its first launch. The engine section was moved on March 20 from its integration area in Building 103 at the Michoud Assembly Facility (MAF) in New Orleans to the adjoining Building 110, also known as the Vertical Assembly Building (VAB). The long-awaited move came after the completion of a significant phase of assembly, where all the equipment, wiring, tubing, and insulation internal to the element was installed. There is still more integration and testing to do; the next step is to bolt the boattail assembly on the bottom, connect up additional systems, and begin a series of functional tests of the mated combo. The boattail assembly is a streamlined extension for the bottom of the engine section and also includes a downward-facing base shield that provides protection from the heat generated during launch and ascent. As more and more of the equipment was put in place in the aft compartment of the stage, the confines of the controlled work area got more constricted. 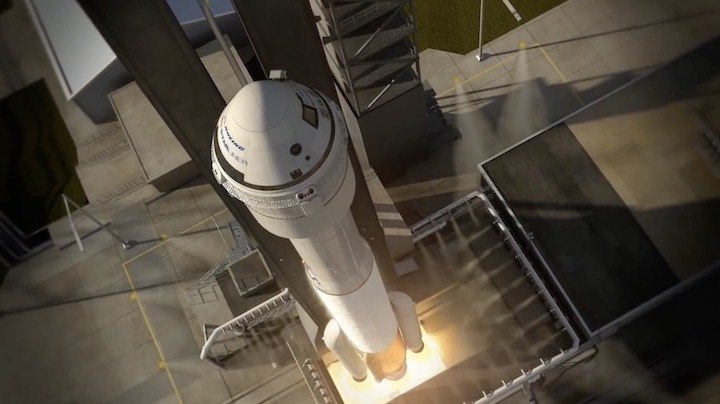 “That becomes increasingly a bigger challenge because the more stuff you put in the engine section the more torturous path it is for people to get in there,” Pat Whipps, NASA’s SLS Stages Office Resident Manager at MAF, said during a February 28 media event there. Just about the last hardware to be installed inside were the avionics boxes that work with the vehicle flight computers elsewhere on the stage to control things like propellant and pressurization flows, hydraulic systems, and thrust vector control hardware. Most of the work in the weeks leading up to completing standalone integration was testing all the installed hardware. All the wiring routed inside the engine section had to be tested to verify its continuity after installation. Once orbital tube welding was completed to seal the different systems, they all had to be tested. Final applications of foam insulation for a few of the sections of cryogenic ducting inside were held until traffic from technicians working in areas around them subsided. 3-D printed molds are placed around parts with complex geometries and the foam is poured into them to cure. The engine section continues to be the pacing item in the schedule to complete assembly and testing of Core Stage-1 (CS-1), the first flight unit. It has taken much longer than expected to get to this point, delaying downstream work and pushing estimates of when the overall SLS rocket will be ready for its first launch into 2021. With the Administration’s desire to fly the EM-1 test flight before the end of 2020 and a recent internal assessment concluding that the stage’s integration and test schedule wouldn’t support that, the agency is aggressively looking for new options to get back on schedule. The first new option discussed in public was a study to assess the feasibility of using commercial launch services to launch EM-1 instead of SLS, but NASA is also looking at new options to shorten the SLS schedule. NASA’s periodic assessments had shown that the schedule was sliding not long after the last baseline commitment for EM-1 was announced in November, 2017; however, new assessments of the SLS Core Stage schedule began in October in response to recommendations from an audit by NASA’s Office of Inspector General (OIG). The report was publicly released on October 10, but a draft was sent to Human Exploration and Operations Mission Directorate (HEOMD) management in late August for review. OIG made seven recommendations to HEOMD covering Core Stage production generally and Core Stage-1 specifically; HEOMD Associate Administrator Bill Gerstenmaier’s early October response was included in the final report. The Congressional submission of NASA’s FY 2020 budget proposal released on March 18 highlighted the schedule-related aspects of the response as the Administration also looks for ways to accelerate the SLS schedule for EM-1. “In October 2018, the SLS program began an assessment of core stage production,” the report says. The budget submission noted this second assessment was scheduled to be completed on April 15. Focusing on schedule, an obvious candidate for an “alternate approach” is the Stage Green Run test campaign long in planning for the Stennis Space Center. The Green Run campaign was planned both to acceptance test the stage and verify Boeing and NASA’s analytical modeling of how the rookie SLS stage performs with veteran Space Shuttle Main Engines, now called RS-25s. Core Stage-1 is the first working stage article, and six months was allocated in the schedule to run the stage through activities being performed for the first time in the program, such as cryogenic propellant loading, and a full, eight-minute flight duration firing. Eliminating the Green Run testing (which could take longer than estimated), skipping the trip to Stennis, and taking the new stage directly to Kennedy Space Center would significantly compress the schedule. Prior to completion of the OIG audit, NASA had studied substituting a brief, five-second static fire of the Core Stage on the launch pad at KSC for the eight-minute long full duration firing at Stennis; the stage would be stacked with its SLS Boosters on the Mobile Launcher for the test, also referred to as it was in the Space Shuttle Program as a Flight Readiness Firing (FRF). Although an FRF may not completely achieve Green Run development objectives, it would significantly improve the schedule. Additional structural dynamics testing in the integrated launch processing schedule could also be traded for more schedule with NASA looking to fly as early as possible. During much of this first Core Stage assembly and production flow, Boeing and NASA have looked at ways of rearranging the original sequence of tasks to adjust to issues such as development of manufacturing and production processes, establishing a parts supply chain, and qualification of subsystem components. In addition to shuffling tasks, the flow of hardware has also been shuffled through common areas at MAF like the VAB, with Boeing and NASA officials there currently juggling hardware for Core Stage-1, structural test articles, and Core Stage-2. Since the post-OIG report internal assessment started in October, a number of additional changes were made to the workflow for the remainder of Core Stage-1 assembly, integration, and test. Even before the engine section moved into Cell A, the next sequence of steps was reworked. The boattail moved into Cell A first on March 19, with the engine section moving into the Building 110 aisle on March 20 to start lifting activities that were underway on March 21. The new tooling allows the mated assembly to be moved and allows for multi-level access platforms to be placed around it; the improved access is expected to allow more work to be done in parallel. Clearing Cell A also allows final assembly of the fourth and final structural test article for the liquid oxygen (LOX) tank to be completed in parallel with the first part of engine section functional testing. Stacking of two simulators to the LOX tank qualification article needs time in both stacking cells in Building 110. Additional wire harnesses and tubing need to be connected between the engine section and boattail after they are bolted together in Cell A and moved back into Building 103. Functional testing of all the engine section equipment is done in parts. “So we go into Cell A, we’ll stack with boattail, we have some integration to do once we have boattail on and once we get that complete we’ll be able to do a portion of the functional testing for engine section,” Jason Grow, SLS Core Stage Lead Propulsion Engineer for Boeing, said. “After that portion is done we’ll bring hydrogen tank on, after the hydrogen tank is on, we have a little bit more integration to do and then we’ll be able to finish out functional testing.” The baselined aft join mates the boattail to the bottom of the engine section and the liquid hydrogen (LH2) tank to the top. 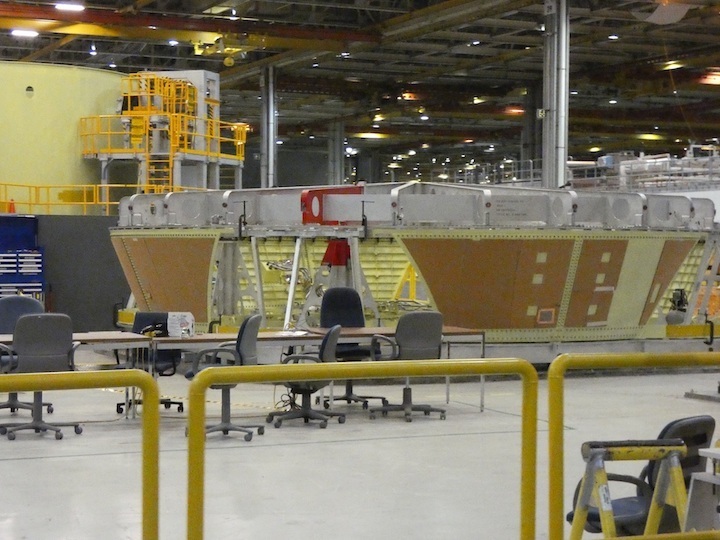 The LH2 tank is currently in the Final Assembly area for the current round of standalone integration work. With extra time due to the delayed completion of engine section, work to attach the two feedlines that run down the outside of the LH2 tank was moved up. The work is normally baselined for Final Assembly, the last part of the production sequence. All of the testing and checkout requirements to complete assembly of the stage will be met, but with the extra oversight of production still more changes to when and where work is performed are expected. 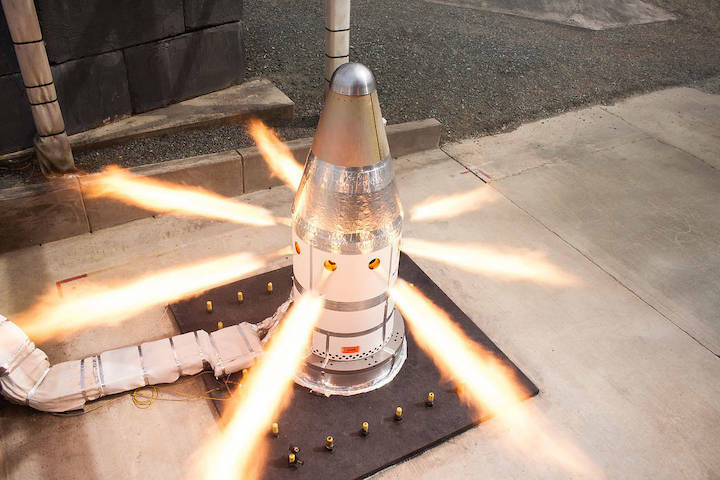 Engineers conducted a static hot-fire test of the Orion spacecraft's Launch Abort System Attitude Control Motor at a Northrop Grumman facility on March 20, 2019 in Elkton, Maryland. The 30-second test is one in a series of three tests aimed at qualifying the motor for human spaceflight, to help ensure Orion is ready from liftoff to splashdown for missions to the Moon. NASA tested Orion’s crew module uprighting system off the Coast of North Carolina in March 2018. 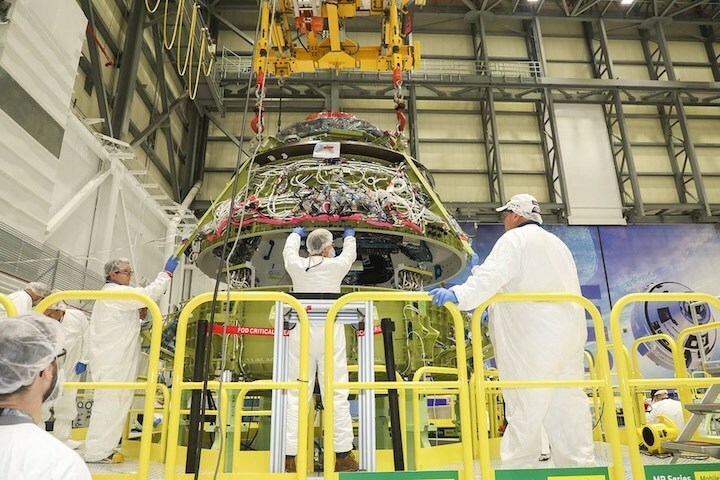 Engineers completed two key tests the week of March 18 to help ensure NASA’s Orion spacecraft is ready from liftoff to splashdown for missions to the Moon. Teams successfully tested one of the motors on Orion’s Launch Abort System responsible for taking the crew to safety in an emergency during launch, and completed testing at sea for the qualification of the system used to upright Orion after it lands in the ocean. 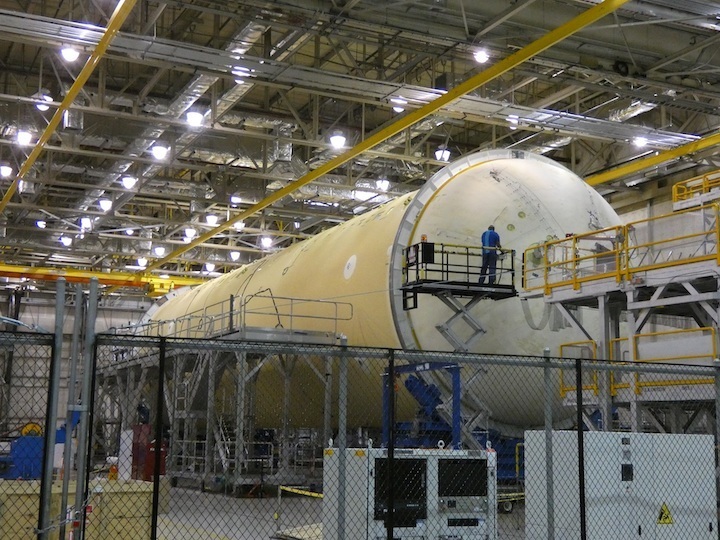 At its facility in Elkton, Maryland, Northrop Grumman hot fired a motor for Orion’s launch abort system. The attitude control motor is responsible for orienting the crew module for landing in the event that Orion’s ride to space experiences a failure during launch or ascent. The motor is essential because it helps stabilize Orion and control its trajectory as it moves away from the rocket. During the 30-second test, the motor produced more than 7,000 pounds of thrust from eight valves. This test was the first in a series of evaluations aimed at qualifying the attitude control motor for crewed missions. Orion’s launch abort system is positioned on top of the crew module and is designed to protect astronauts during their trip to space. It can activate within milliseconds to pull the crew module to safety if needed. It consists of three solid rocket motors: the abort motor that pulls the crew module away from a rocket, the attitude control motor that can steer Orion in any direction upon command, and the jettison motor that ignites to separate the launch abort system from the spacecraft so that Orion is free to deploy its parachutes to assist with landing. Ensuring crew safety continues throughout the mission, including systems used to assist with returning astronauts to land. Off the coast of Atlantic Beach, North Carolina, engineers tested the crew module uprighting system (CMUS) to ensure the capsule can be oriented right-side up once it returns from its deep space missions. When Orion splashes down in the ocean, it can settle in one of two positions. In the most ideal scenario, the capsule is oriented with the heat shield in the water and its windows and hatches out of the water. The crew module also could land with the top submerged in the water, and the heat shield facing the sky. The CMUS deploys a series of five, bright orange airbags to flip the capsule right side up in the event the Orion lands upside down. It takes less than four minutes for the system to upright the capsule to help protect the astronauts inside that are returning home from future deep space missions. In a perfect post-mission landing situation, all five of Orion’s airbags will deploy to reorient the capsule, and while this is the most likely scenario for capsule recovery, NASA aims to be ready for any situation. 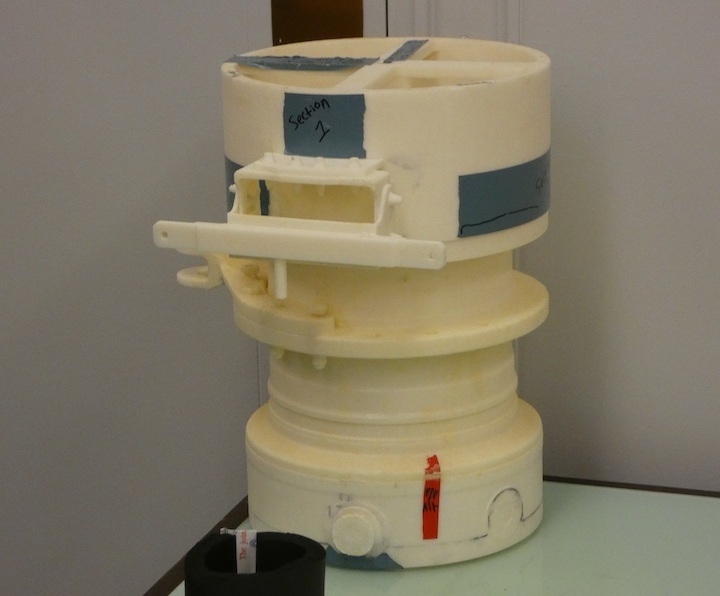 Several tests performed with a mockup of the Orion crew capsule demonstrated that even if one of the airbags failed to inflate, the CMUS would still be able to perform as intended. The system was previously tested in the Neutral Buoyancy Lab, a giant pool at NASA’s Johnson Space Center in Houston, primarily used for astronaut training, as well as off the coast of Galveston, Texas. 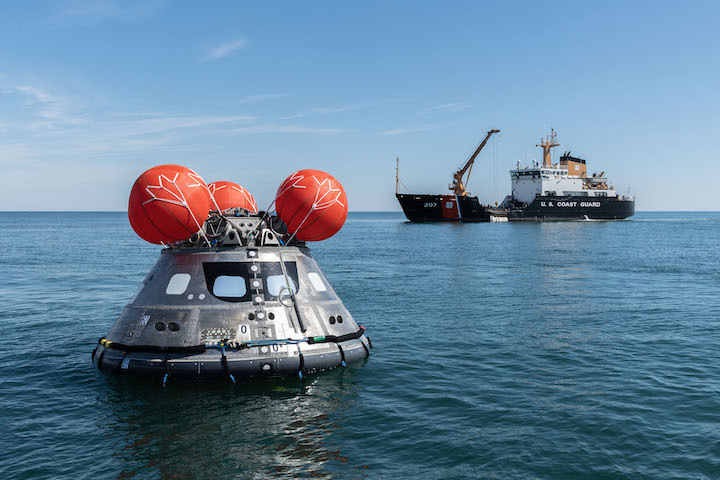 Engineers also wanted to test the uprighting system in more challenging waves, similar to those where Orion is expected to land, and partnered with the Coast Guard to test the CMUS in the Atlantic Ocean. Engineers experimented with four different CMUS configurations over several days of testing. These tests verified the system’s ability to perform in varying wave conditions, and demonstrated how the CMUS would protect the crew in a wide range of landing scenarios. With the success of both tests, the Orion team is well on its way to verify Orion is ready for missions to the Moon and beyond. A statement issued by Boeing on Tuesday confirmed previous reports that the company’s CST-100 Starliner spacecraft, designed and built under a $4.2 billion contract from NASA, would miss its previous target launch date for an unpiloted test flight to the International Space Station in April. NASA and industry sources have said for months that an April launch date was not feasible, but NASA and Boeing had not officially published a revised schedule since early February. The first Starliner test flight with astronauts on-board was previously scheduled for August. In Boeing’s schedule update released Tuesday, the company only said it expects the Crew Flight Test to occur “later this year,” but sources said the Starliner could fly with astronauts in November, at the earliest. NASA said Wednesday that the Crew Flight Test’s duration has been extended, as officials previously said was possible. The Starliner’s first test flight with astronauts was originally supposed to last no more than a couple of weeks, but the crew could now remain aboard the space station for months. The exact duration of the Crew Flight Test will be determined at a later date, NASA said. The Crew Flight Test mission extension will allow the space station crew to conduct additional research and maintenance, helping ensure the U.S. segment of the orbiting outpost remains fully staffed as NASA transitions from exclusively using Russian Soyuz crew capsules to using a mix of SpaceX, Boeing and Russian vehicles for astronaut transportation. 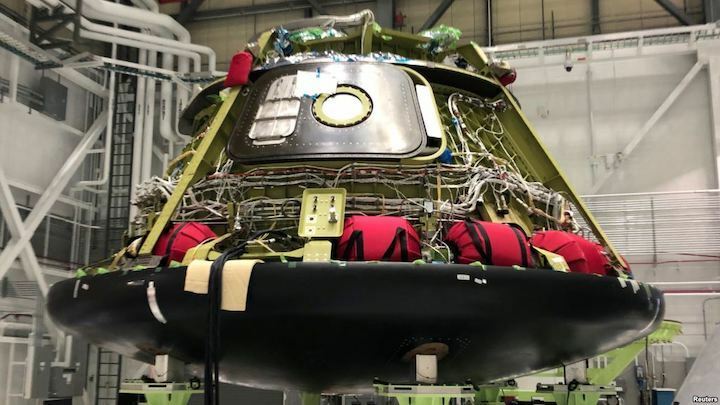 A hotfire test of the Starliner’s abort engines, delayed from last year after a fuel leak on the test standat NASA’s White Sands Test Facility in New Mexico, is planned in the coming months. That will be followed by a pad abort test at White Sands in the summer timeframe, before the Starliner’s first space mission, according to Rebecca Regan, a Boeing spokesperson. The pad abort test will verify the Starliner’s four liquid-fueled escape engines can send the capsule and the astronauts on-board away from a failing rocket. The pad abort test was previously scheduled between the Starliner’s first orbital mission, designated the Orbital Flight Test, and the capsule’s first crewed mission. Earlier in the spacecraft’s development, Boeing originally aimed to conduct the pad abort test before both test flights to the space station, but officials shuffled the sequence after last year’s hotfire test anomaly. With the updated schedule released Tuesday, the Starliner’s Orbital Flight Test will be leapfrogged in United Launch Alliance Atlas 5 rocket’s manifest at Cape Canaveral by the Air Force’s fifth Advanced Extremely High Frequency communications satellite, which has held to a target launch date of June 27 for several months. Boeing said the Starliner’s Orbital Flight Test had a narrow launch opportunity in the first week of May to clear the Atlas 5’s launch pad at Cape Canaveral before the AEHF 5 mission. “In order to avoid unnecessary schedule pressure, not interfere with a critical national security payload, and allow appropriate schedule margin to ensure the Boeing, United Launch Alliance and NASA teams are able to perform a successful first launch of Starliner, we made the most responsible decision available to us and will be ready for the next launch pad availability in August, while still allowing for a Crew Flight Test later this year,” Boeing said in a statement. Boeing test pilot Chris Ferguson, a former NASA astronaut who commanded the last space shuttle mission in 2011, will be joined by NASA crewmates Mike Fincke and Nicole Mann on the Crew Flight Test mission. Boeing’s CST-100 Starliner is one of two commercially-developed crew capsules funded by NASA to ferry astronauts to and from the space station. SpaceX’s Crew Dragon spacecraft launched March 2 on a six-day test flight to the space station, demonstrating its capabilities before a second test as soon as July with NASA astronauts Bob Behnken and Doug Hurley on-board. The Crew Dragon capsule returned to Earth under parachutes March 8 for a splashdown in the Atlantic Ocean. While SpaceX’s Crew Dragon launches on top of the company’s Falcon 9 rocket and returns to splashdowns at sea, the CST-100 Starliner will take off aboard Atlas 5 rockets built by United Launch Alliance, a 50-50 joint venture between Boeing and Lockheed Martin. At the end of each mission, the Starliner will parachute back to Earth for a landing in the Western United States. SpaceX originally intended to reuse the Crew Dragon for multiple missions to the space station, but officials have dropped that plan, at least for now, after redesigning the capsule for ocean landings. Boeing says each CST-100 crew capsule can fly in space up to 10 times. 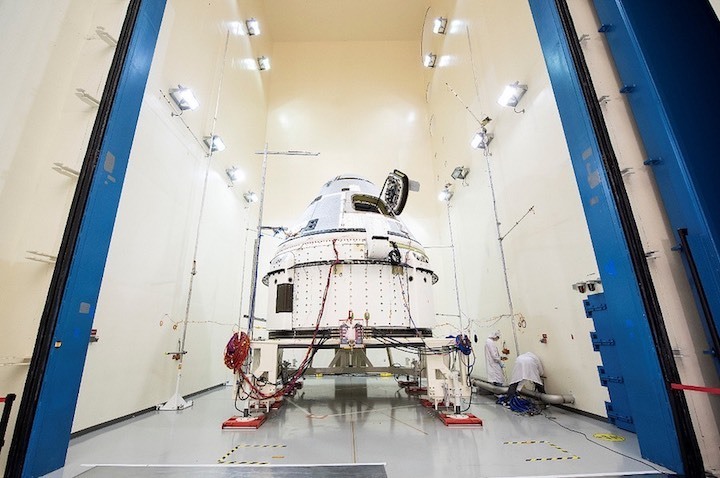 After they complete their test flights, the Crew Dragon and CST-100 Starliner spaceships will begin regular crew rotation flights to the space station, where they will stay docked as emergency lifeboats for up to 210 days before returning astronauts to Earth. Boeing said Tuesday the Starliner program continues to make progress. The company said it recently cleared the last major test milestones ahead of the unpiloted demonstration flight to the space station, and technicians are “entering the final phases of production” on the Orbital Flight Test vehicle. The Starliner team recently completed two parachute drop tests, and one of the human-rated Starliner spaceships recently finished a series of environmental tests at Boeing’s satellite factory in El Segundo, California, officials said. Engineers also conducted a “range of motion” test on the Starliner’s docking adapter, which will connect the capsule to the space station. Boeing is building the CST-100 Starliner capsules in a repurposed space shuttle hangar at NASA’s Kennedy Space Center in Florida, where the company also plans to refurbish the spacecraft between missions. The company plans to initially build two full-up Starliner capsules for crew rotation flights to the space station, designated Spacecraft 2 and Spacecraft 3. Spacecraft 1, the first of the line, will be used on the pad abort test in New Mexico. The capsule used for environmental testing in El Segundo was Spacecraft 2. The battery of environmental tests subjected the spacecraft to the extremely hot and cold temperatures, vacuum conditions, electromagnetic radiation, and the vibration and acoustic environments it will encounter in flight. With that testing completed, the capsule will be shipped back to the Kennedy Space Center for final outfitting ahead of the Crew Flight Test. Boeing is assembling Spacecraft 3 for the Orbital Flight Test. The fuel leak in the Starliner’s abort engines last June led to months of delays in the program, while engineers in parallel studied issues with the Boeing capsule’s parachutes and pyrotechnic systems. The delays ultimately led Boeing to fall months behind SpaceX in launching their crew capsule’s first unpiloted space mission. Boeing said the company is nearing the finish line in overcoming the propulsion and parachute challenges. NASA said new launch abort engine valves, redesigned after malfunctioning and causing the propellant leak after a hotfire test last year, have been manufactured and are being installed on the Starliner’s test abort engines, built by Aerojet Rocketdyne. The next set of new hardware will soon be installed in the pad abort service module, NASA said. Boeing said its team wants to fly a crew-ready spacecraft on the unpiloted test. “It is most important to us to fly a complete vehicle and collect as high-fidelity data as we can from these crucial flight tests before we turn the vehicles around and prepare them for regular long-duration missions,” the company said in a statement. SpaceX tested Crew Dragon’s abort system during an on-pad test in 2015, demonstrating the ship’s SuperDraco escape thrusters have the power to drive the spacecraft off its rocket sitting on the ground in the event of an accident during the countdown. An in-flight abort test is planned this summer, before the Crew Dragon’s first mission with astronauts, to evaluate the capsule’s ability to escape a rocket at high altitude. Unlike the pad escape demonstration, an in-flight abort test was not required by NASA of either company, and Boeing elected to forego it. The Crew Dragon that flew to the space station last month launched with much of the spaceship’s life support system, including air revitalization equipment to regulate oxygen and carbon dioxide inside the spaceship. The crew seats and display monitors also flew, but the displays were not activated and functional, according to Hans Koenigsmann, SpaceX’s vice president of build and flight reliability. The touch-screen crew controls, push buttons and the toilet will be added to the next Crew Dragon vehicle for astronauts. SpaceX also plans to add heaters to the Crew Dragon’s propulsion system to keep propellants from getting too cold, which could cause a shock or vibration that could damage the capsule’s Draco control thrusters. Speaking at the safety panel meeting last month, Magnus said SpaceX and Boeing are pursuing different plans for their test flights. While NASA pushes it Space Launch System (SLS) to make a mid-2020 debut, Orion also needs to find solutions to both match the realigned targets and achieve key objectives before the second flight with astronauts onboard. Most notably, the Orion Environmental Control and Life Support System (ECLSS) is set to make its full debut on the first crewed mission, requiring the spacecraft to loiter in Low Earth Orbit (LEO) – before heading to the Moon – to allow for a speedy abort should issues be found in the system. Various test opportunities, including on the ISS, are being called upon to mitigate potential issues. Exploration Mission -1 (EM-1) will be an uncrewed test flight paving the way for the crewed EM-2. However, EM-1’s Orion will not fly with a complete life support system. This has been a concern for NASA’s Aerospace Safety Advisory Panel (ASAP)for some time, resulting in calls to mitigate the potential the system could suffer a mission-ending fault during the following flight, EM-2. “In its 2018 Annual Report, ASAP expressed concern about the readiness of the ECLSS for crewed flight – more specifically, whether it would be fully tested, qualified, and ready to support the crew on EM-2,” noted the minutes from the latest ASAP missing in March. NASA had already provided the rationale for not flying EM-1 as a full-up test of the ECLSS, noting “the Orion System is much simpler than that of previous vehicles” and “the spaceflight environment would not significantly impact system performance compared to what is seen during ground testing”. It also inserted a 24 hour checkout period for the EM-2 flight, allowing Orion to remain in Low Earth Orbit (LEO) for around a day to checkout the health of the ECLSS, before deciding if to abort the mission or press on to the TLI (Trans Lunar Injection) burn and head towards the Moon. This objective was first recommended back in 2013. “For these reasons, NASA concluded that no specific element of ECLSS hardware requires successful testing on EM-1 prior to EM-2. This conclusion may well prove to be correct; nevertheless, the Panel believes that the more that critical life-support systems and subsystems can be tested in an end-to-end fashion before they are used in crewed flight, the better,” added the ASAP meeting’s minutes. The ASAP noted that it recommends that NASA should continue to assess whether additional ECLSS hardware could be incorporated on the EM-1 flight, “if the mission is delayed”, which is somewhat moot given the EM-1 mission is now being told to advance, rather than slip further to the right. NASA has some very useful experience with life support systems, not least on the ISS which has allowed for a continued human presence in space for many years and the ability to learn techniques to repair and improve the ECLSS. It is understood that some Orion ECLSS specific hardware has been tested on the ISS and the ASAP encourages further testing to help mitigate any potential concerns with the EM-2 flight. “…emphasizing that the complete ECLSS system has not yet been tested on the ISS – only similar components, in conditions projected to be relevant to the new spacecraft, the Panel again emphasizes the value of end-to-end microgravity testing of the ECLSS system prior to EM-2,” added the ASAP minutes. Orion itself is no longer the critical path on NASA’s EM-1 timeline, which has since been overtaken by concerns with the Space Launch System (SLS) flow, notably the core stage. Previously, Orion – specifically the European Service Module (ESM)– was the critical path that was threatening additional delays to the EM-1 timeline. Orion will still need to be on its guard if it is to avoid becoming the schedule concern, should SLS find a way to viably target mid-2020, as instructed by the NASA Administrator Jim Bridenstine. As such, it has already looked into a plan to allow for several months of schedule mitigation. One such option would be to skip most of the Orion fueling tests at the MPPF (Multi-Payload Processing Facility). The thought is that KSC could save six months of schedule by skipping all the hypergolic loading and unloading testing now scheduled for the Orion stack in the MPPF. Thus Orion would go from the O&C (Operations and Checkout Building) to MPPF, be fueled, then go to the VAB (Vehicle Assembly Building) for stacking on the SLS. Such a change to save schedule would likely be a last-ditch measure should Orion become the critical path again, given once Orion is fueled, it can not go back into the O&C in the event of a problem – such as contamination being found – until it is defueled and decontaminated of all hypergolic fuel traces and would require remedy outside the O&C building. The next major test objective for Orion will be the Ascent Abort -2 test (AA-2), which is now Range Approved for launch on a Minotaur IV booster from Cape Canaveral’s SLC-46 on June 12 during a four hour window opening at 11:00 UTC. 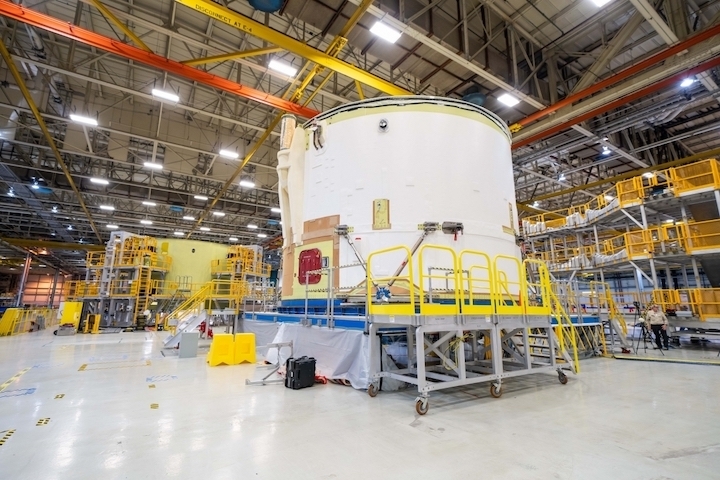 One of Boeing Co's CST-100 Starliner astronaut capsules is seen at a production facility in Cape Canaveral, Florida, Jan. 15, 2019. 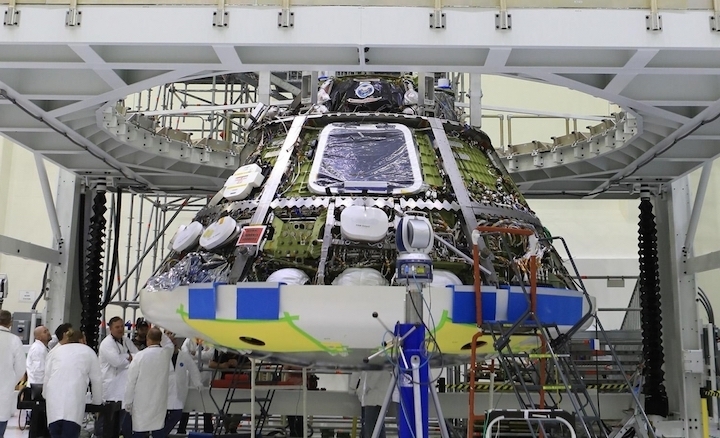 Boeing's new space capsule for astronauts faces more launch delays. The Starliner capsule was supposed to make its debut this month, after a series of postponements. But the first test flight is now off until August. And the second test flight, with astronauts, won't occur until late in the year. NASA announced the revised lineup Wednesday. At the same time, officials said the first Starliner crew will remain at the International Space Station longer than the few weeks originally anticipated. The mission length will be decided later. SpaceX, NASA's other commercial crew provider, successfully flew its new Dragon capsule without a crew to the International Space Station last month. The first flight with astronauts could be as early as this summer, but the schedule is under review. Boeing said the last major milestones have been cleared and the capsule is almost finished. But scheduling conflicts with an early summer Air Force launch helped push the Starliner's debut into August. The Starliner will fly on United Launch Alliance's Atlas V rocket, the same kind of rocket needed for the Air Force's critical mission in late June, from the same pad. While the first SpaceX astronauts will visit the space station for a few weeks at most, the Starliner's three-person crew will move into the orbiting complex for an extended period. The typical station stay is about six months. NASA wants to reduce its reliance on expensive Russian Soyuz capsules as soon as possible, and so the Boeing test flight will double as a taxi mission for station residents. NASA astronauts have been riding Russian rockets since the end of the space shuttle program. SpaceX Dragons and Boeing Starliners will return human launches to Florida, following the eight-year hiatus. NASA contracted with the two companies to handle space station ferry flights, so it could focus on getting astronauts to the moon and, eventually, Mars. All 16 RS-25 engines slated for the first four SLS missions have successfully demonstrated flight worthiness. All flight controllers for NASA’s first four SLS flights have successfully completed testing. The new RS-25 engine controller, which regulates and monitors engine thrust levels, health and performance, has 20 times the processing capability of the shuttle-era controller. STENNIS SPACE CENTER, Miss., April 4, 2019 – With today’s successful 500-second hot-fire test of Engine 2062 at NASA’s Stennis Space Center, Aerojet Rocketdyne has completed acceptance testing of all 16 RS-25 engines and flight controllers needed to support the first four flights of NASA’s Space Launch System (SLS). The final flight controller was tested on Engine 2062, which is slated to fly on the second mission of SLS, the first crewed mission. At the conclusion of the Space Shuttle program, 14 of 16 engines in the SLS inventory had previously flown; two new engines were built from spare components. Last year, Aerojet Rocketdyne hot-fired one of the two remaining engines (Engine 2063) that had never flown and, with today’s test of Engine 2062, all 16 engines have completed acceptance testing. The flight controller is a key component of the RS-25 engine; it serves as the brain of the engine and enables communication between the rocket and the engine, relaying commands and transmitting performance data. Additionally, the controller regulates thrust and fuel mixture ratio while monitoring the engine's overall health and status. All four of the RS-25 engines slated for Exploration Mission-1 are complete and ready for integration into the core stage, as is the RL10 engine used on the rocket’s upper stage. The four RS-25 engines for Exploration Mission-2 are scheduled to be complete in September of this year. Aerojet Rocketdyne, a subsidiary of Aerojet Rocketdyne Holdings, Inc. (NYSE:AJRD), is a world-recognized aerospace and defense leader that provides propulsion systems and energetics to the space, missile defense and strategic systems, and tactical systems areas, in support of domestic and international customers. For more information, visit www.Rocket.com and www.AerojetRocketdyne.com. Follow Aerojet Rocketdyne and CEO Eileen Drake on Twitter at @AerojetRdyne and @DrakeEileen.